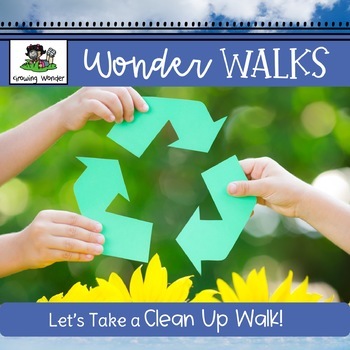 With this walk, children will learn about their role as an “earth steward” as they collect trash and clean up their school environment, while also observing the number of trash/recycling bins located on the property. 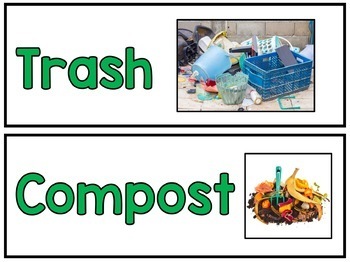 After the walk, they will sort the trash into four groups: recycle, reuse, trash, or compost to learn personal responsibility for trash disposal. They will also examine a school lunch to see which items can be recycled, reused, trashed or composted. 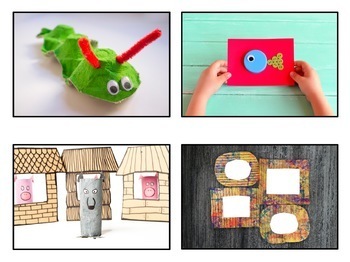 You can also continue the learning by creating an upcycle center in your classroom where children will turn trash to treasure by making recycled crafts using creativity and imagination. 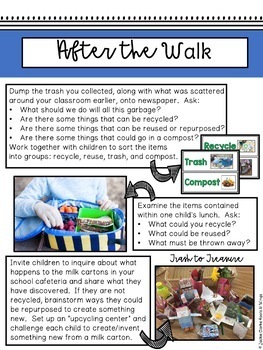 Take this walk to celebrate Earth Day or while learning about trash and recycling as part of a unit for preschool, kindergarten or first grade.